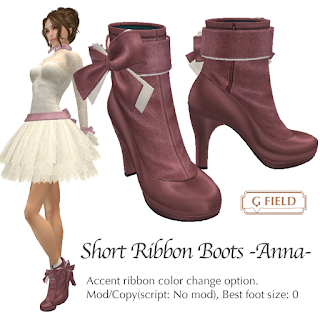 *G Field*: New release: Short Boots "Anna" & "Emma"
New release: Short Boots "Anna" & "Emma"
I released 2 style short boots, "Anna" and "Emma". You can change accent ribbon color or buckle color with dialog. 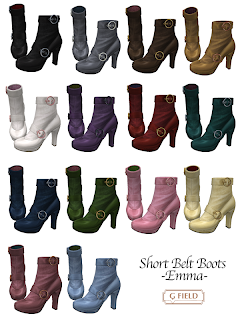 6 colors pack, dark color or light color. Mod/Copy, price: 100.